The 90mm Cast Throttle Body is well suited for 5.7 / 6.1 / 6.4 HEMI engine owners who would like extra horsepower without extensive engine upgrades. Installation is a quick bolt up application for better performance. Just unhook intake tube and drive by wire plug, take out the 4 mounting bolts, then reverse those steps to put on the new throttle body. 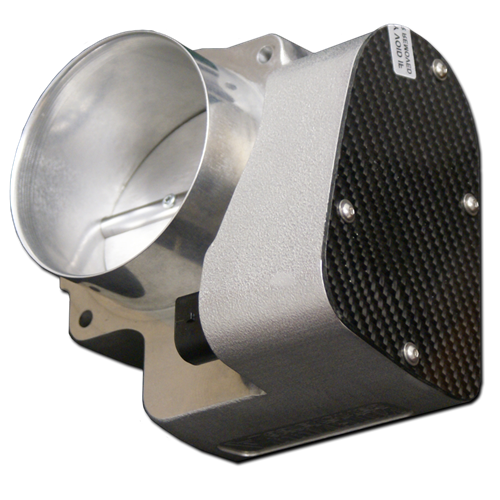 The cast throttle body is engineered and tested by HEMI engine builders for the best results. If you are looking for tuning and dyno options call Arrington engines at 1-866-844-1245. If you are looking to plant more HEMI power to the ground faster grab this 90mm throttle body today. **Tuning suggested/required. The throttle body should be calibrated to your vehicle by your local dealer. A lean Air/Fuel ratio can cause catastrophic engine damage!